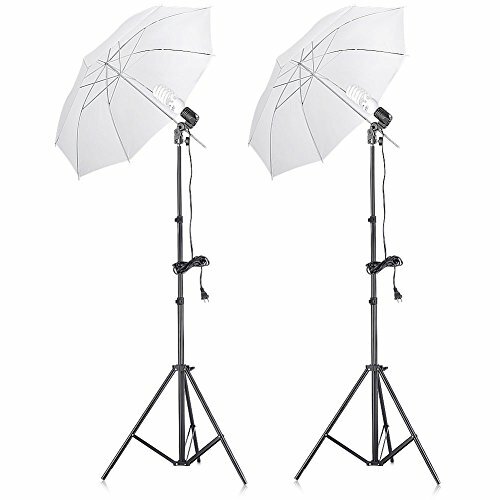 This stand supports all major photo equipment including reflectors, softboxes, lights, umbrellas, backgrounds and more. Allows you adjust the umbrella and lights in different angle. Features low operating temperature and long life span,no noise and no flicker. Energy saving compact fluorescent spiral bulb - save energy up to 80%. Watts:45W - Equals to 200W regular incandescent light bulb output.